Suffering from dental pain impacts your entire life. The causes of that pain can go further and impact the health of your entire body. Put your trust in our 15 years of clinical experience to find the source of the problems and treat them effectively. Fitting dental treatment into your already busy schedule can seem overwhelming.Weekend appointments are available to ensure you get the treatment you need without the stress. If a cavity is permitted to reach the pulp in the gums, a very serious infection can occur. This infection can lead to abscesses, an infection that eats away at the bone of the jaw. 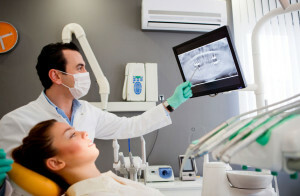 Root canal therapy, also known as endodontic therapy, removes the infected pulp and disinfects the tooth canals to prevent more serious problems and ease pain. The joints that move your jaw are referred to as temporal-mandibular joints, or TMJ. Stress, grinding of the teeth, misalignment of the teeth, and other issues can lead to a disorder characterized by pain, stiffness, and even locking of the jaws. Treatments may include removing teeth, replacing teeth, bite adjustment, plastic mouthpieces, and surgery.